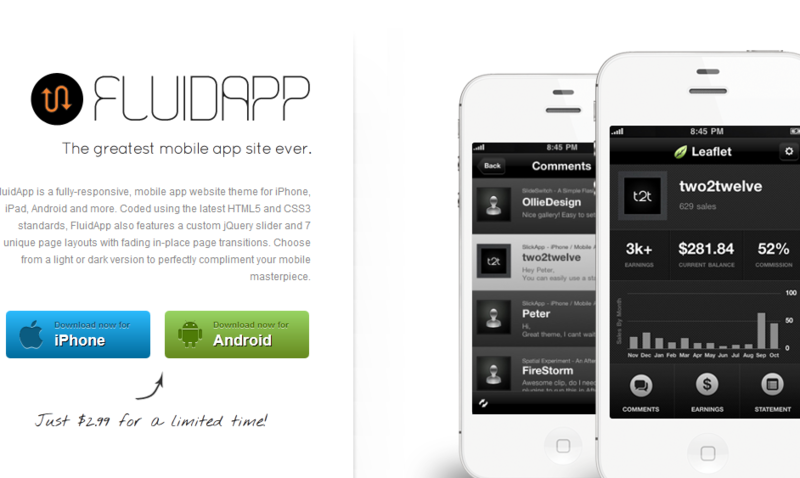 FluidApp: a fully responsive site template you can use to promote iPhone, iPad, Android, and Blackberry apps. It has valid HTML5 and CSS3. 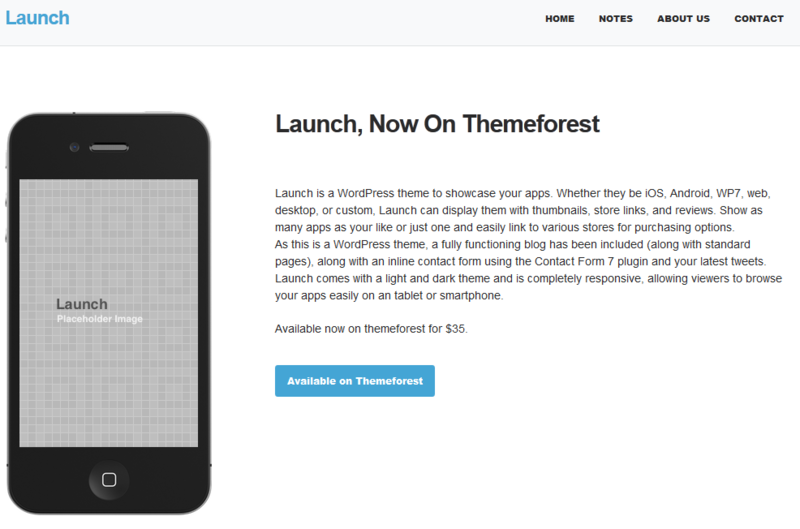 Launch for WordPress: a simple but decent looking WordPress theme developers can use to promote iPhone, Android, and Windows apps. 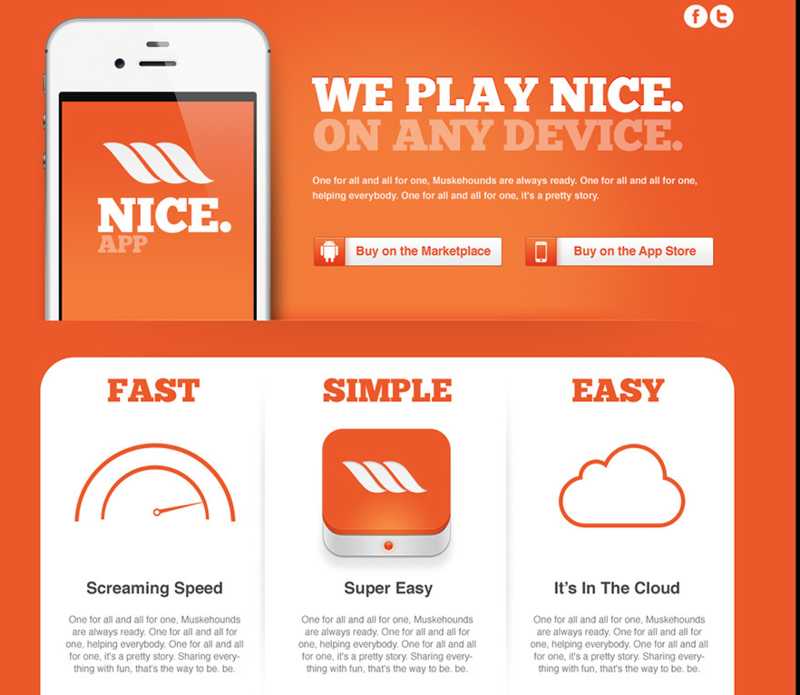 Nice app: a landing page template for your app site. It has a responsive design, clean code, and proper call to action features. 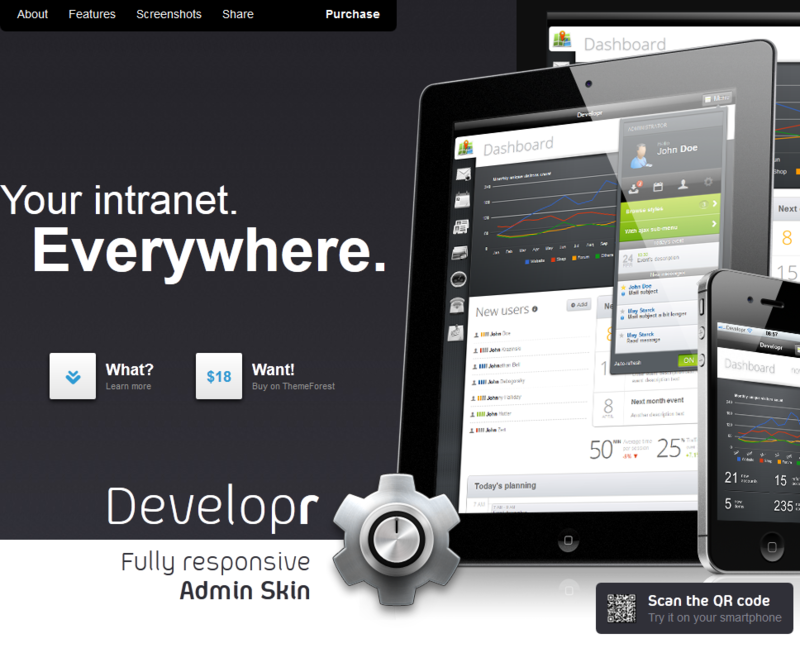 Developr: a dynamic site template you could use to promote web and mobile applications. It is fully responsive. It has 9 color sets and many visual elements. Promoting your apps online aggressively is a no brainer. 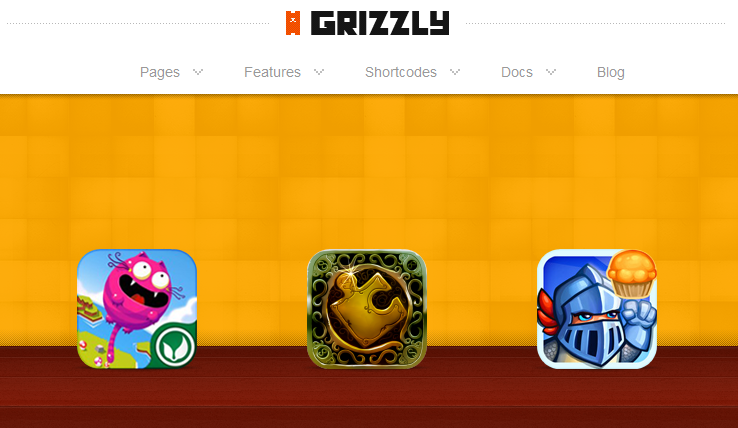 The above site templates let you put together a mini portal for your app in a more professional manner.